This is a post in the EDW Newsroom’s Under the Radar blog series, which profiles successful Winnipeg-based businesses who are having an impact in their respective industries. 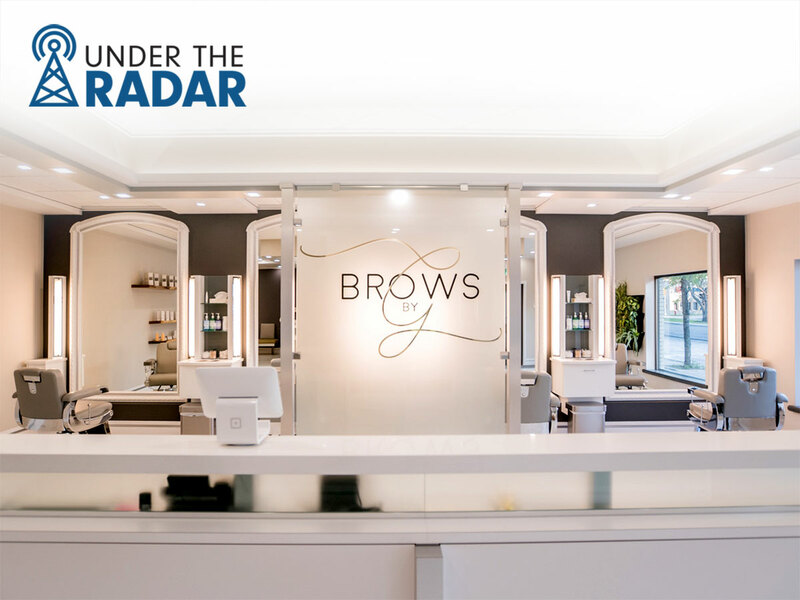 What started as a small, single-chair microblading studio founded by Giovanna “G” Minenna and partner Scott Russell in their Winnipeg condo, Brows by G has since grown into a national brand offering innovative services, training, and products across the country. Most recently, the co-founders appeared on the high-stakes CBC show, Dragon’s Den. During the episode, which airs February 7th, Giovanna and Scott will pitch an expansion of Brows by G, hoping to take their company to new levels. In anticipation of the Dragon’s Den airdate, we spoke with Scott about what makes Brows by G a beauty industry leader, and future plans for the company. What makes Brows by G stand out from its competition? What makes us different is our unwavering commitment to staff education, health and safety, and above all the quality of our work. We’ve become national experts in all things semi-permanent and permanent cosmetics, specifically the Microblading procedure. When G founded Brows by G in 2015, the technique was very new in the beauty industry. G was one of the first people in Winnipeg to provide this service, if not the very first. Microblading is different from traditional cosmetic tattooing in that pigment is manually deposited into only the top layer of skin, to create a natural, hair-stroke effect that fades naturally over 8-24 months. The result are natural eyebrows that have the shape, colour, and hair-stroke pattern customized specifically for each client. That sounds like a new and very innovative process. It is, and that’s why Brows by G has been so heavily invested in quality control and training since we opened our doors. All of our staff are personally trained by G, and we will both send our staff for training out of province or bring instructors to Winnipeg, to help keep us on the cutting edge of the industry. As one of the first to offer this service in Winnipeg, we worked closely with health inspectors to help them understand the procedure around Microblading, to help formulate the provincial regulations. If we can provide that expertise on health and safety, and provide education on the right processes to use – that’s good for our whole industry. Another difference for us is how much we care about our clients. We want to build a business where the customers will come back. To achieve that, we offer the cleanest, most luxurious environment at our studios. We log every bit of customer feedback we receive, and follow up on every one. All these things have a price tag associated with them, but we know how important reputation is in a market like Winnipeg. How has the company grown since you first opened your doors? Brows by G started in our condo with a single chair. We soon moved into a small space on Academy, but outgrew that quickly as well. Today, we have two Winnipeg locations with 25 staff – and more growth planned for the future. We’ve completed in the range of 4,000-5,000 microblading procedures since we started, which has helped us develop our process into one of the highest-quality procedures of its kind in the world. And what are your growth plans going forward? That’s an interesting question. There are now three different divisions at Brows by G: services, training, and products. We’re still finding out what the right expansion will be for all three because they all have different needs. It’s a moving target. Our NEW MICROLUXE® Disposable Microblading Pens are here! Our service division continues to do well, and we’re looking at how to best expand nationally. Our training division is growing quickly, and have already trained about 500 students across 10 provinces. Our training programs are making semi-permanent and permanent cosmetics a more accessible service offering, and helping to create the next batch of Canadian female entrepreneurs in the beauty industry. Our third division is our product line, and that is likely the area with the highest potential for growth. We have developed our browluxe® line of cosmetics and microluxe® line of technician products, which we sell across the country. Many questions about your growth plans will be answered during your segment on Dragon’s Den. How was that experience? The episode was a lot of fun, but nerve-wracking. You get one shot to make an impression, and there are no retakes. Plus, the dragons don’t really police themselves – as much as they are making TV, they are doing real business evaluations. You need to be on top of your game the entire time. Getting accepted to be part of the show was a unique experience as well. Normally there’s a preliminary application process, where the producers will vet your business proposal. In the case of Brows by G, we bypassed that entire process. In 2017, we were part of an accelerator program through Futurpreneur, and had an article written about Brows by G that was featured on the Futurpreneur blog. The Dragon’s Den producers read that article last year, and called us directly. They asked if we could pitch to the dragons… with about 10 days’ notice. That’s not a lot of time to prepare for such an important pitch, but we worked hard – and got support from North Forge to help us prepare. Everything after that, you’ll have to tune in and see on the Dragon’s Den episode. We’re excited to tune in ourselves. How has Winnipeg played a role in the success of Brows by G? Winnipeg is our hometown for both G and myself, and the city is also a fabulous test market for products and services. If you can make a business work in Winnipeg, it will most likely work anywhere. The Winnipeg consumer base is both cost-conscious and diverse. We offer a luxury service – it’s a big ask for someone to trust us with such an investment. But people love our services. We’ve gotten exceptionally positive feedback, and hear often about how our services create self-confidence for our clients and shapes how people see themselves. It’s a great validator for us to see the positive reception we get in Winnipeg, and empowers us to grow our business even further. Brows by G will be featured on the February 7th episode of Dragon’s Den, which airs at 8pm Winnipeg time. You are invited to a free viewing party at the Metropolitan Entertainment Centre, where you will get a change to speak with Brows by G staff. This interview has been edited for clarity and formatting purposes.